It’s a tough job, but someone has to run a press room at the HOM lounge during Men’s Fashion Week, so that is exactly what our fashion team did. 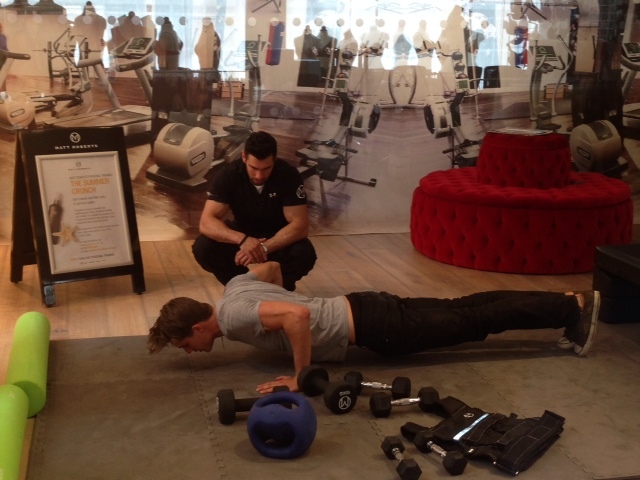 We were there for our client, the UK’s leading fitness and nutrition expert, Matt Roberts. Matt and his team were on hand to offer male models nutrition and health advice, including fitness tips to help keep a toned and athletic body. Healthy food was on hand from Nama, the raw food experts.